I recently applied for the Citibank Prestige credit card in branch after an offer for 60,000 Thank You Points for being a Citigold customer which is an offer all Citigold customers can get. If you read enough blogs in the points/miles community you’ll see the American Express Platinum card continuously mentioned and advertised while there is little to no mention of the Citi Prestige card. I’ve had various Platinum cards for the last 3 years but after looking at the benefits of the Citi Prestige, I believe the Citi Prestige card is a better fit for most people who want/need/have a premium credit card with a large annual fee. Here is my argument for the Citi Prestige over the American Express Platinum card. 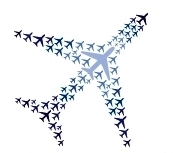 Type of Points: Thank You Points, which transfer to 11 foreign airlines and Hilton. The points can be used directly towards travel on American/US Airways at 1.6 cents per point and all other airlines at 1.33 cents per point. Note: Points do not actually transfer to AA, rather you redeem them at a rate of 1.6 cents per point via Citibank’s travel portal. Other benefits include $100 Global Entry credit, 3 free rounds of golf annually, trip protection, price protection, concierge service, no foreign transaction fees and more. Airline Lounge: Delta SkyClub access for cardholder only. Additional guests are $29 each. Other Lounge Access: Centurion & Airspace Lounges. Priority Pass Select Membership though additional guests are $27 each. Elite Status: Starwood Gold, Hertz Gold Plus, Avis Preferred and National Rent a Car Executive Status. Other benefits include $100 Global Entry credit, free wifi via Boingo (personal card) or GoGo (business card), OPEN savings (business card), car rental coverage, concierge service, no foreign transaction fees and more. So Which Card Would You Rather Have? Looking at the various categories I defined above, it seems the Citi Prestige is a clear winner in 5 categories including signup bonus with lower annual fee, airline credit, spending, airline lounge and other lounge access. I will give the nod to the Platinum card in 2 categories including type of points and elite status while I’m calling the hotel benefit category a draw since both have their respective good uses. I think for most people the Citi Prestige is better “premium” card as for $100 less annual fee, I think you actually get more benefits than the American Express Platinum. This is especially true if you are an American Airlines flyer as there is no way to transfer American Express points to AA. Being able to redeem Thank You Points at a rate of 1.6 cents per point and earn elite miles/redeemable miles for flying on American is a great perk. On top of that, I like that I can generate additional points with the category bonuses, making this card better for spending compared to the American Express Platinum. The bigger selling points to me are the significantly better airline credit and lounge access program. Not only is the airline credit $50 greater, I like that I can actually buy an airline ticket to use my credit or that I can use my credit across many different airlines instead of just one per American Express. Additionally, the lounge access for me personally is better since I tend to fly American more and I can bring my wife in with me no problem. While I do lose out on the Centurion lounges, there are only a handful of them spread across the country and I’ve yet to visit one. The Platinum card does still make sense for those loyal to Delta since it includes Delta SkyClub access and Membership Rewards points transfer to Delta. That said, the Platinum card should not be used for everyday spending since there are many better cards out there for spending (not just the Prestige). Admittedly, I do prefer the airline transfer partners in Membership Rewards over Thank You Points as I could only see myself transferring points to Singapore in the Thank You Points Program while I’ve transferred Membership Rewards to Delta, British Airways, JetBlue, Virgin America and Hawaiian in the past (mostly to top off for award redemptions). Lastly, the SPG Gold elite and rental car elite status is worthwhile if you frequently stay at Starwood hotels or rent cars frequently. I do wish the Prestige would add more benefits regarding elite status. While I opened my Citigold account to take advantage of the 30k American Airlines offer, I also did it knowing I was going to apply for the Citi Prestige in the next month or two. By applying for the Prestige now, I lock in a $100 savings on the annual fee as well as the 15% Relationship Bonus. Once the miles post, I will downgrade my checking account to Basic to avoid any fees. I don’t remember where I saw this but someone reported still getting Citigold benefits after downgrading their account and reps even thanked him for having a Citigold account, though it really wasn’t a Citigold account (if you remember who posted about it, please share in the comments). 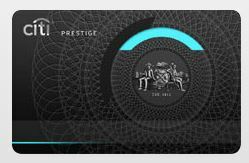 If that’s true, the net annual fee for the Citi Prestige after the annual credit is just $100 which is a fantastic price to pay for American Airlines lounges access and you still get to enjoy the other benefits of the card. For opening one bank account and one credit card, I’ll gain 30,000 American miles + ~75,000 Thank You Points after hitting the minimum spending amounts. Just the Thank You Points alone are worth $1,200 if redeemed for American Airlines flights while I’ll conservatively value the 30,000 AA miles at $450. I’ll also earn $500 in airline travel credit (since it is a calendar year benefit I can take advantage of this benefit twice) and another year of AA lounge access (worth $450, which is perfect since I just cancelled my AA Executive card). My total benefits earned are about $2,600 and it only cost me $350, which is a great deal. For those considering an American Express Platinum card, I’d strongly consider doing this combination (there is also an offer for 40k Thank You Points) before pulling the trigger on the Platinum card. Note: I have no affiliate links anywhere on my site. This post is an attempt to bring an undermentioned card some more publicity since the bigger bloggers tend to ignore it while pumping the American Express Platinum card even though I think the Prestige is a better card, especially when combined with a Citigold account. And when they do post about the Prestige, they do not mention the way to get this much better signup offer as well as the extra cash or miles from the Citigold account. $18,000 to receive the bonus ?? No way !! And – Starwood is way better than Fine Hotels & Resorts. For those 2 reasons I will keep my AMEX Platinum. It is $15,000 in spend to get the bonus but I understand your point. However you do have a year to hit it and with tools like RedBird, it is quite easy for some. For some, the Platinum is a better keeper if it fits in your travel patterns (lot of Delta flying, airports with Centurion lounges and Starwood). I thought the Citi 30k deal was good through March 31? Ralph – I’ve been looking for lounge access cards since I’ll be canceling my Citi Executive soon. The Executive comes with access even when you are not flying American (which we do a lot, but have loved the access). I’m seeing that this card comes with access, but only if you are flying American. I’m a bit skeptical that American has different forms of access based on if you are flying with them or not. In fact, I feel like when I got my Executive card I called and asked about if you had to be flying American and I think they said “we have to let you in”. Do you know much about this? This is a killer alternative if we can indeed get in when not flying American.